When traditional meets unconventional and eclectic — that’s where the excitement begins. 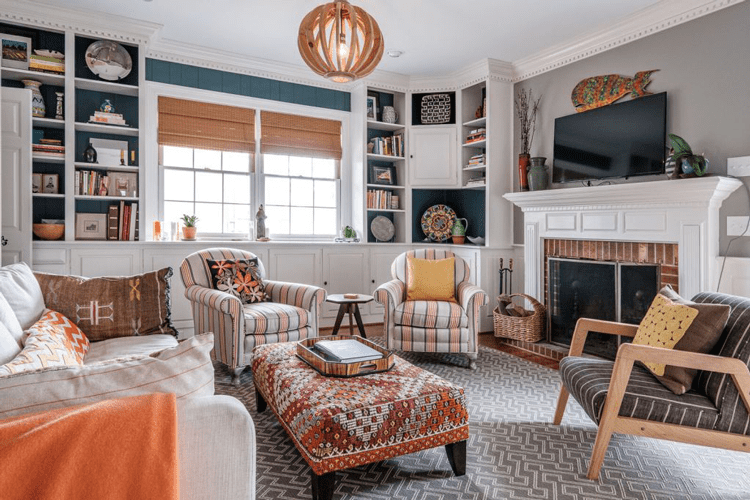 This traditional two-story Colonial in the Buena Vista neighborhood of Winston-Salem was completely transformed into an eclectic artist retreat by the talented team at Catherine French Design. 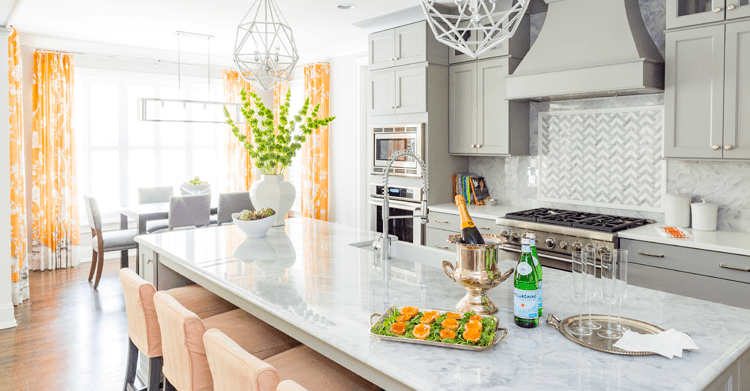 This full-service interior design firm is based in Chapel Hill, but maintains active projects all along the East Coast, ranging from luxury new construction homes to relaxing condos by the sea. The team of five at Catherine French Design offers a diverse range of experiences, talents and areas of expertise. 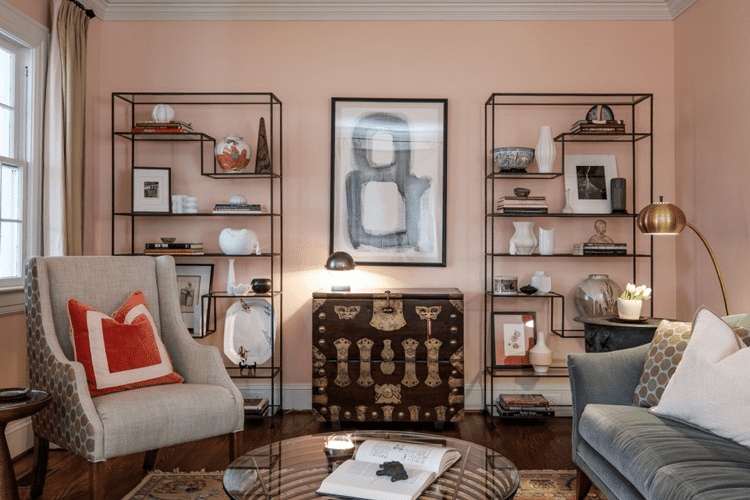 Catherine “Cat” French launched the company after graduating from the University of North Carolina at Greensboro with a Master of Fine Arts in Interior Architecture. Cat’s enthusiasm for her work and years of experience working with executive-level clients make her an expert in the field of design. She is the only North Carolina designer to be routinely showcased as a Featured Designer on The Design Network, is a member of the American Society of Interior Design, and has made presentations on interior design and historic preservation at several conventions throughout the country. We caught up with their team to get the inside scoop on this dreamy artist retreat — as well as some insight into their process and preferences when it comes to interior design. This project was focused on achieving balance and consistency, which meant carrying specific elements throughout the entire space. The clients were an artistic couple with eclectic tastes, which was certainly incorporated into the space, with pops of brilliant color, unique textures and abstract works of art. The end result is elevated, whimsical, refined and eclectic. 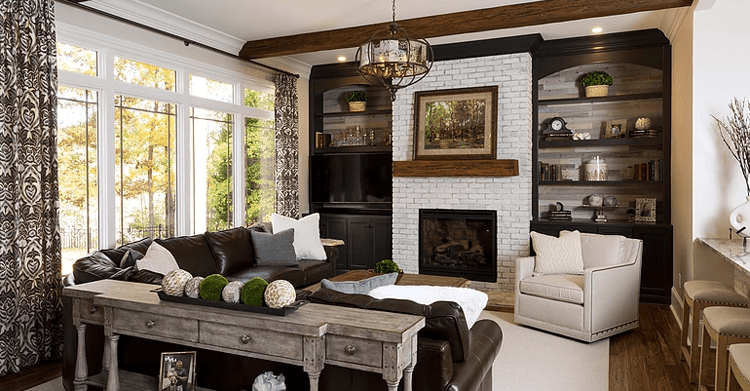 Allen Tate Companies: What are some home decor trends you have been noticing this year? Catherine French Design: I’m noticing a lot less white on white or white on grey, and instead am starting to see more black architectural accents; be it window mullions, doors or accent walls. There is also more interest in bold, rich colors and maximalist wallpaper designs. AT: Do you have a “signature” style in your designs? CFD: I really try to create a custom space for each client that is unique and reflects their personality. I love to incorporate vibrant colors, clean lines, interesting shapes and a layering of pattern to create visual interest. AT: If you could do just one thing to brighten up a space, what would you do? CFD: Paint! 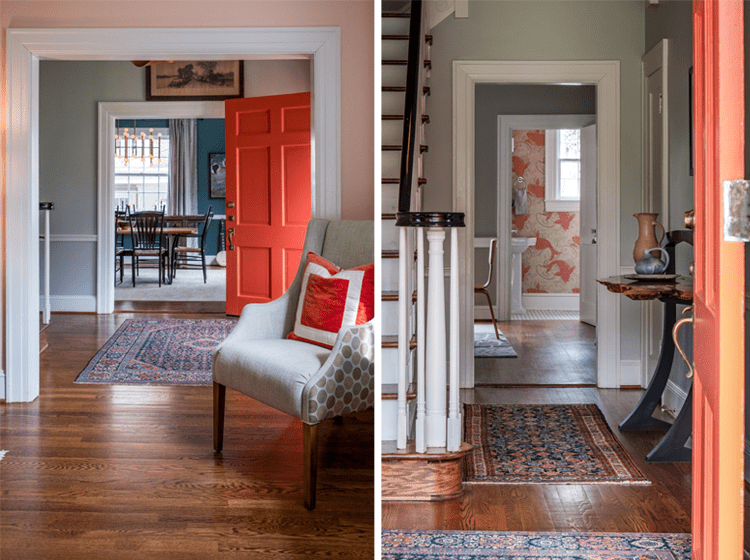 Changing your paint color — even the undertone! — is one of the easiest and most affordable things you can do to brighten up a space and change the entire mood of the room. AT: How do you typically choose a color palette for your projects? How did you choose one for the Artist Retreat project? 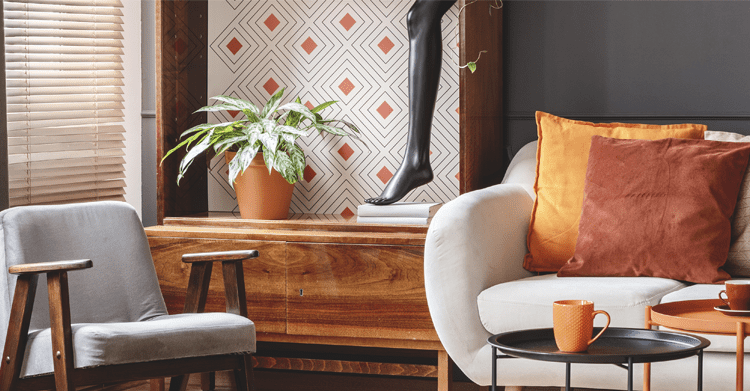 CFD: Typically, there is a starting place that has been indicated by the client — a piece of art, a favorite chair or an heirloom rug that will stay in the space. The Artist Retreat project started with the existing velvet sofa and they wanted the fabric to read blue. I selected the peach wall color to subdue the green tones in the fabric. 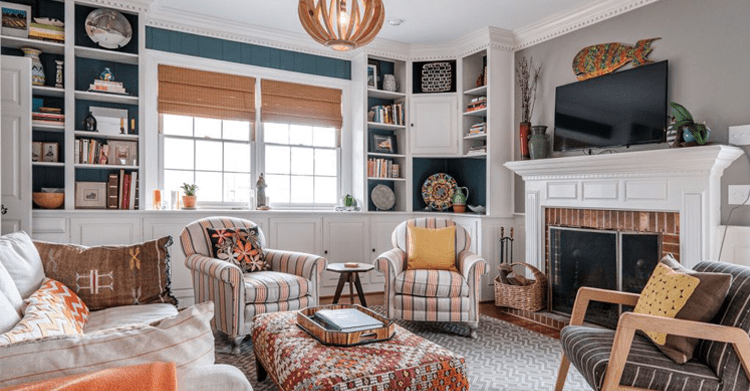 These colors in varied saturation became the pallette to proceed throughout the home to tie the rooms together as you moved throughout the house. 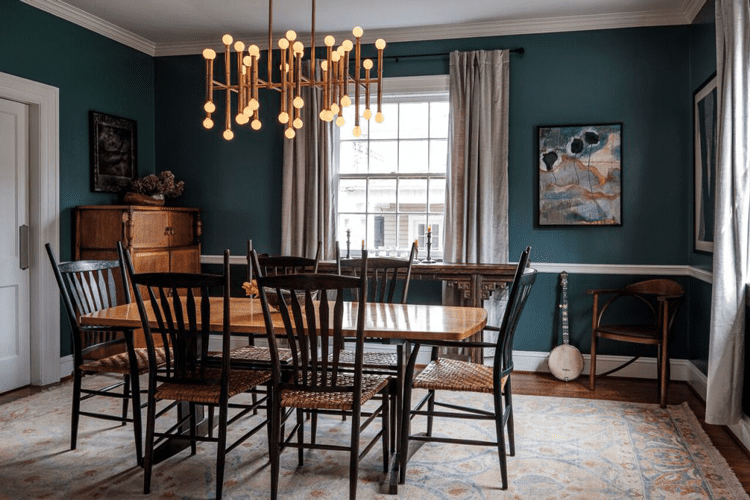 AT: We love the dark teal paint you chose for the dining room! What effect do you think dark paint colors have on a space as opposed to lighter colors? CFD: Thanks! With that particular room, I wanted it to be about conversation and to encourage lingering over a great meal. I picked a dark wall color to play up the level of intimacy in the space. AT: What was your source of inspiration for this project? CFD: My clients were these well-established creative power houses from California and also the true inspiration for the project. They had a great collection of artwork and more modern tastes, but wanted to honor the architecture of their historic Southern home. 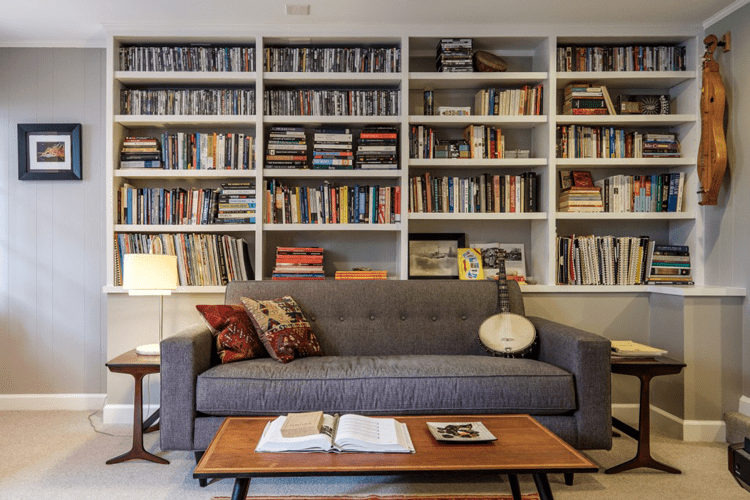 It became apparent early on that they needed a home that could be both a retreat for them to recharge, relax and create, but also a space that could host friends for dinner and impromptu jam sessions afterwards. 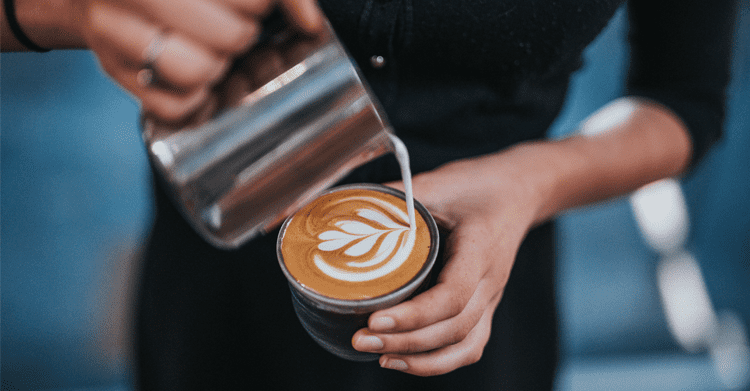 AT: Just for fun — what is your favorite candle scent? CFD: Oh, gosh. I think my favorite candle scent is actually Yankee Candle’s Home Sweet Home. It’s a warm, inviting fragrance, that is not overly floral.